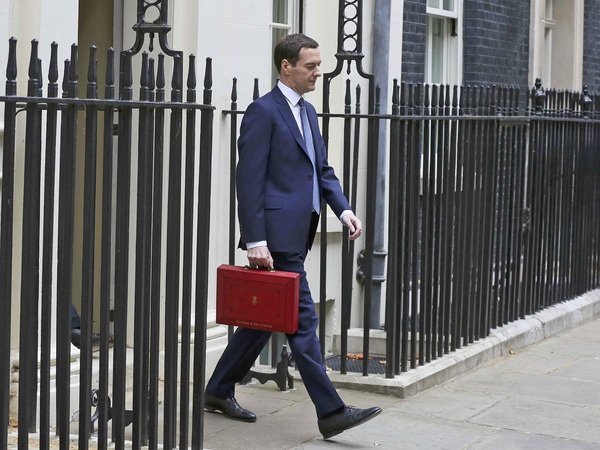 Good morning and welcome to the Independent's live blog of the Budget 2016. As ministers arrive at number 10, RBS is thinking about how many Budget surpluses a 40-year-old Briton has seen in their lifetime. Big qs for #Budget2016 . 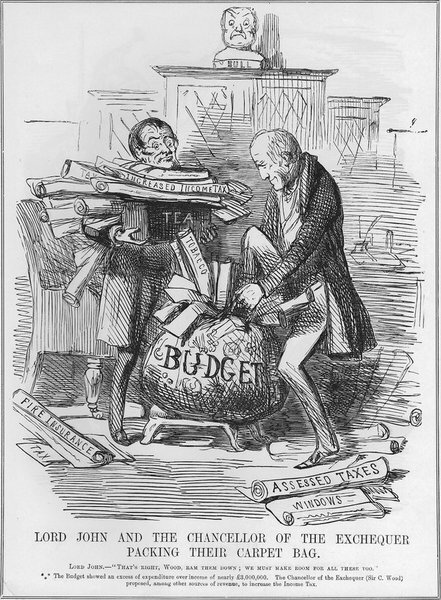 When will new spending cuts fall? Will debt target be let go? Will OBR judge slowdown as cyclical or structural? Chancellor apparently making major announcement about academies in #Budget2016 ? Why? Whitehall land grab? Desperation for "good news"? Our economy is strong, but the storm clouds are gathering again. Our response to this new challenge is clear. A Budget where we act now so we don't pay later. In this Budget we choose the long term. We choose to put the next generation first. 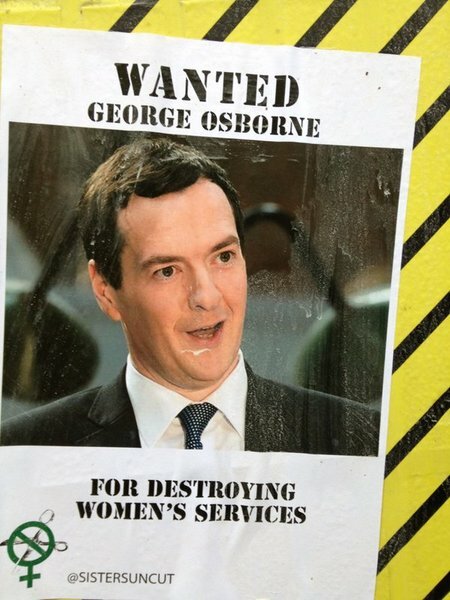 Osborne is expected to make a further £4 billion in cuts today. He said that's "not a huge amount, in the scheme of things". 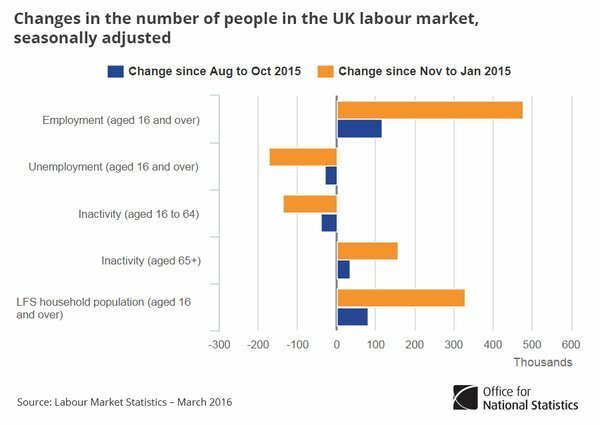 The ONS has just released its employment figures, which show that unemployment fells 171,000 between November and January 2016, compared to a year earlier. 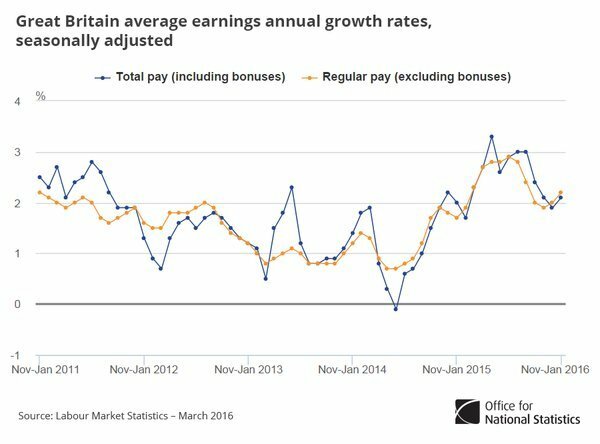 Wages are also up 2.2 per cent on a year earlier. 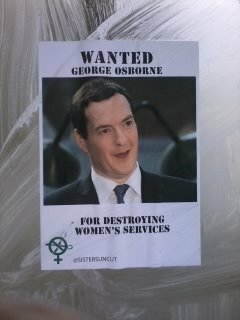 That's good news for Osborne ahead of the Budget. 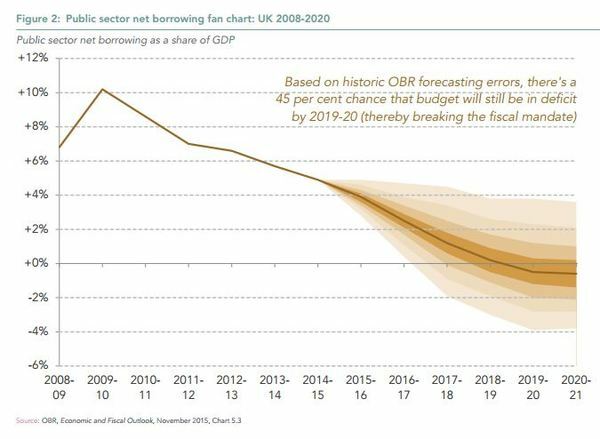 Danielle Haralambous, an analyst at the Economist Intelligence Unit, has said that Osborne's promise of cutting the UK's public deficit by 2020 is looking shaky. 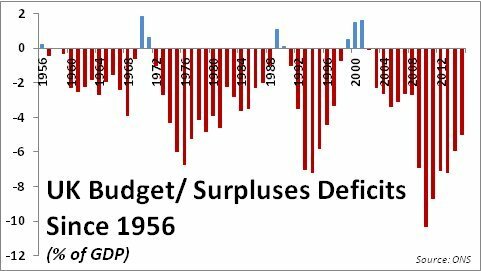 target of a budget surplus by the end of the forecast period, consistent with the new fiscal rule approved by parliament last October. However, our view is that public and political pressure to ease the fiscal consolidation process will mount, making a tight fiscal stance difficult to maintain in the medium-term. simultaneously tries to deliver on his past promises to cut the deficit whilst also appeasing the public by not being too austere ahead of the EU referendum in just over three months. 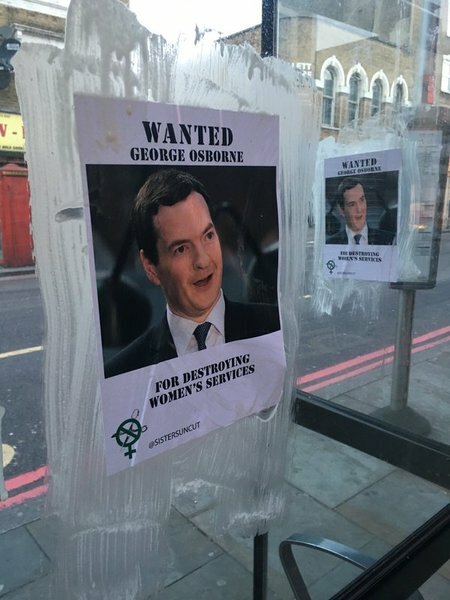 The Resolution Foundation has said that Osborne is approaching 1 in 2 odds of failing to meeting his target of a budget surplus by 2020. 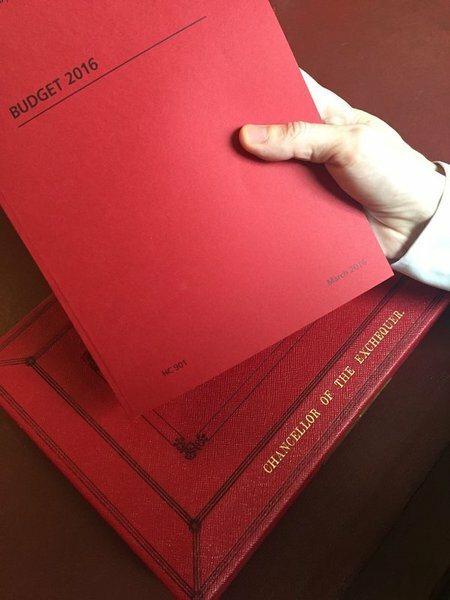 The IndependentGeorge Osborne will announce his eighth Budget on Wednesday March 16, after Prime Minister's Questions. 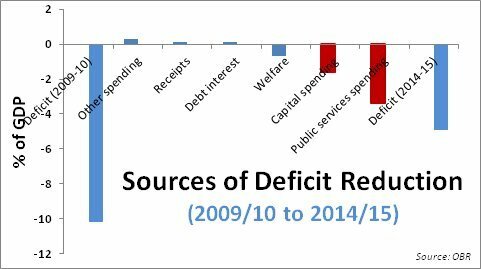 The Chancellor is expected to make a further £4 billion in spending cuts to try and meet his fiscal promise of cutting the deficit, or the difference between tax receipts and Government spending, by 2020. Today’s #Budget2016 is George Osborne's 8th as Chancellor. He’s failed on every measure he has ever set himself. 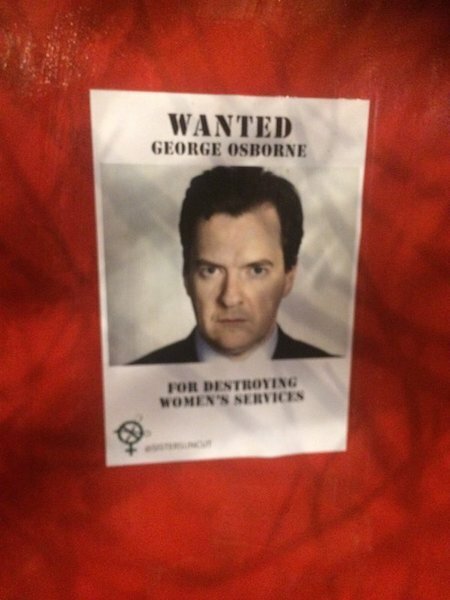 The IndependentGeorge Osborne will stand up to deliver his eighth Budget as Chancellor this week. 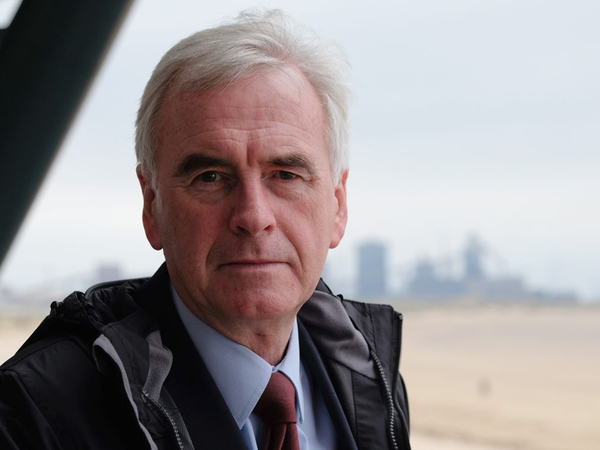 Just three months ago the headlines were about the end of austerity, as Osborne boasted of steady, stable growth and a rosy outlook for the foreseeable future. Russell Quirk from the online estate agent eMoov has called for an end to Help to Buy. Only 3% of buyers actually benefit from the scheme. 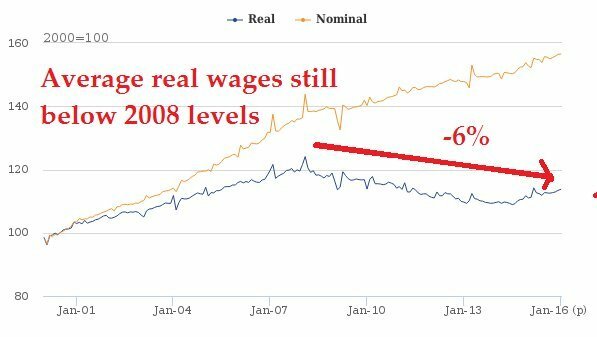 It doesn’t fix the problem of supply and, ironically, fuels further price growth. We shall see today if George Osborne decides to face up to Britain’s housing crisis, or if he continues to bury his head in the sand of Help to Buy and stamp duty. Actually there was one Budget highlight: in 2009 I was freelance and charged by the word. Wrote 4,000 words that day. 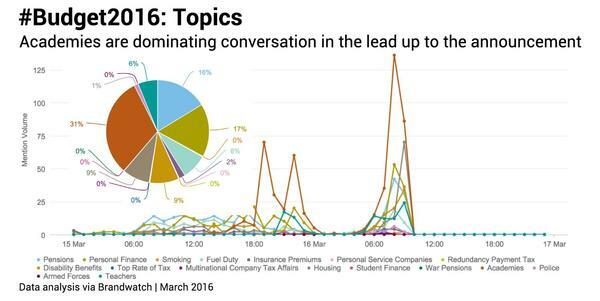 Brandwatch have released some data on what people are talking about ahead of the Budget. 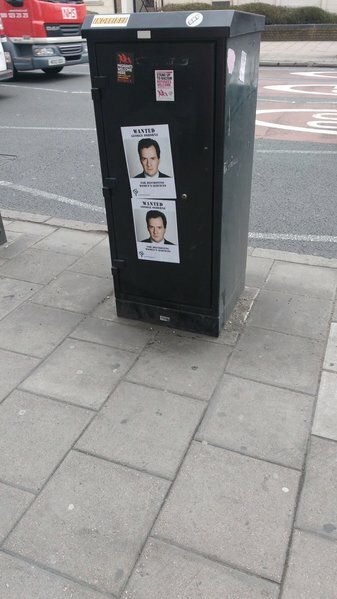 Looks like disability benefit is quite far in the lead. The Trussell Trust, a food bank network, has expressed concerns that the most vulnerable in society will suffer in the Budget. Help for people on low pay is welcome but the Trussell Trust has real concerns that others are being left with even less on which to get by financially. To be compassionate the budget needs to work for everyone, not just those in employment, but the carer, the person with a lifelong disability, the young person facing insecure work and debt problems, or the single mum with three children to feed through the school holidays. 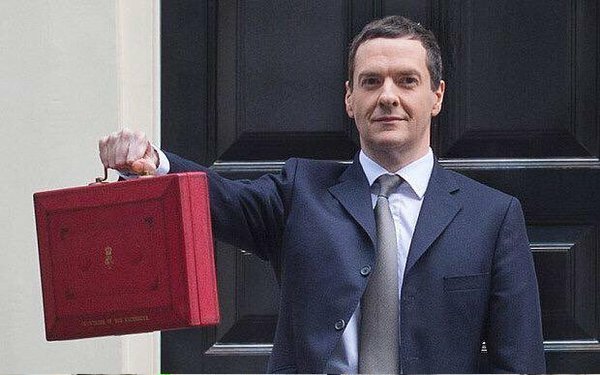 George Osborne has left 11 Downing Street, brandishing his red briefcase, to make his way to the Commons for Prime Minister's Questions. We'll be bringing you PMQs coverage live here until the Budget is presented immediately afterwards, at around 12.30pm.